Product prices and availability are accurate as of 2019-04-19 13:10:49 BST and are subject to change. Any price and availability information displayed on http://www.amazon.com/ at the time of purchase will apply to the purchase of this product. 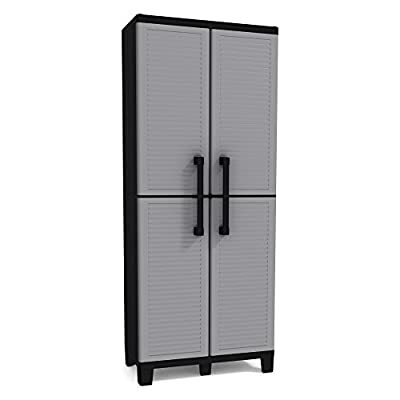 Maximize your storage space with the Keter Space Winner 5 ft. 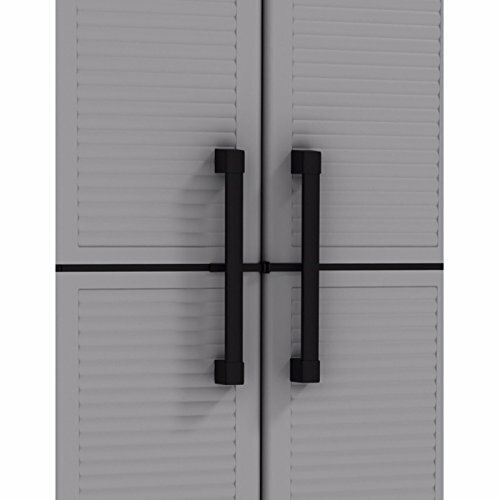 Tall Indoor Garage Cabinet. 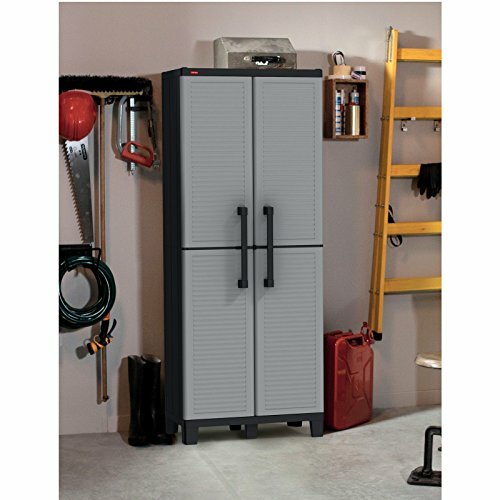 Small enough to fit almost anywhere in your garage, but designed to hold everything you need, this utility cabinet features a sturdy design with four shelves for easy organization. 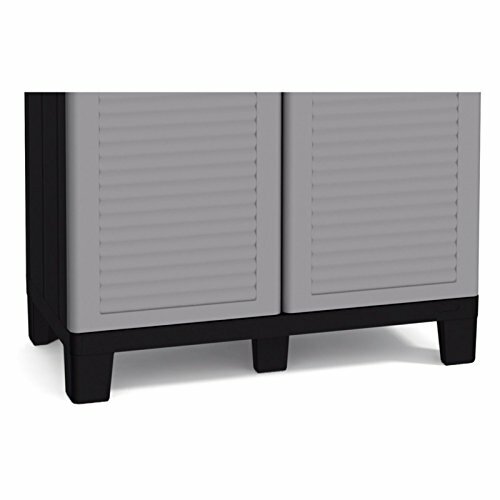 Durable doors and a padlock keep things secure, and the plastic construction is effortless to maintain. Dimensions: 26.77L x 14.96W x 67.32H in.. Black and gray finish. Doors can be padlocked shut. Compact design. Easy maintenance. Shelf weight capacity (ea. ): 44 lbs.. Manufacturer's limited 2-year warranty.